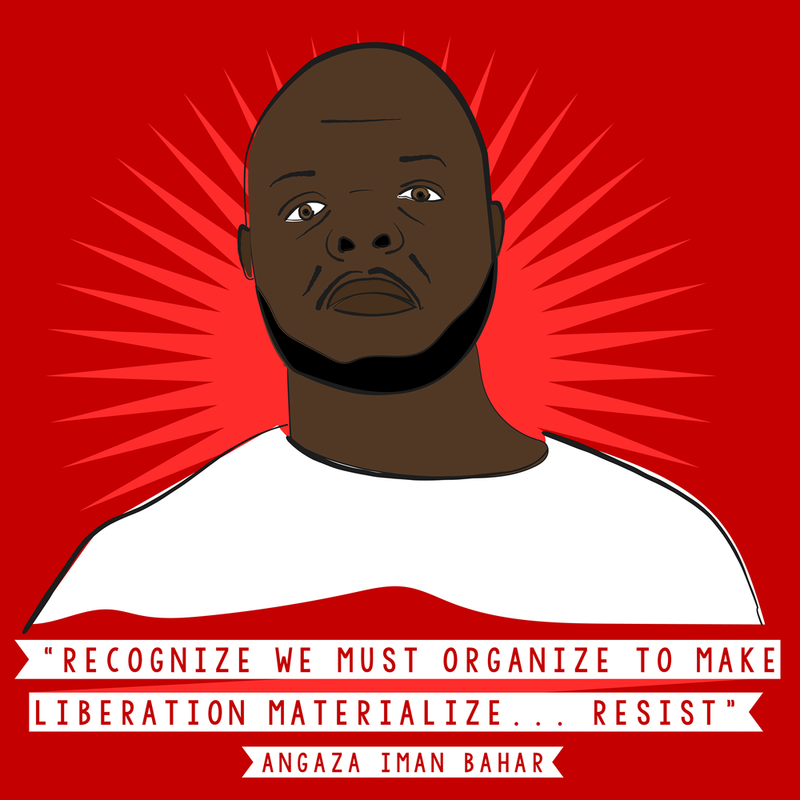 On Thursday, 11/1, IDOC Watch founder, jailhouse lawyer, and advocate for the rights of prisoners Angaza Iman Bahar (Jimmy Jones #891782) was attacked by a guard at Miami Correctional Facility. The guard pepper prayed Angaza, and then when Angaza laid down to be cuffed and other guards arrived, the guard climbed on Angaza's back as he lay on the ground, and started trying to choke him. Angaza is now being charged with assault and has been put in solitary confinement. He faces the loss of 180 days of credit time, a year in solitary, and demotion to a lower credit class. Angaza was going to be released by May 2020 at the latest before this happened, and it seems that the prison authorities are determined to keep him locked up for the rest of his life. He has already been in prison for 25 years, the majority of his life - he was incarcerated at the age of 19. All he wants is to get out experience a taste of freedom, and help build the movement against the prison-industrial complex. Please call Miami Correctional Facility Warden William Hyatte and demand that the assault charges and resulting sanctions against Angaza be dropped! "On Thursday, 11/1, Jimmy Jones #891782 was pepper-sprayed and assaulted by a correctional officer, and then charged with assault and locked in isolation. A review of the video evidence of the incident will clearly show that Jones never assaulted the officer. Please drop the assault charge and all sanctions against Jones, and allow him him to return to general population"
We heard from Angaza that he is being held in cell in solitary confinement where the walls are covered in pepper spray from an incident with a prior occupant of the cell that was never cleaned up. Therefore he is suffering constantly from the effects of pepper spray in his respiratory system! Keep calling please, and demand that he be moved to a clean cell! !